Diamondback Plumbing: The Phoenix Plumbing Professionals 4.6 out of 5 based on 5 ratings. 5 user reviews. 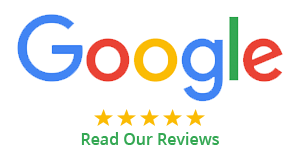 "They were fast, courteous and most of all had the best price out of all the price quotes i got to install my new water heater. I would highly recommend them and use them again. Thanks again Diamondback Plumbing!" "Diamondback Plumbing gave us a competitive estimate and did a fantastic job. I was most impressed by their honesty, fair pricing and friendly customer service. 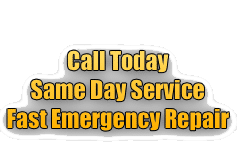 They did a great job and their expertise shows and would highly recommend calling Diamonback for all of your plumbing needs." "I have used Diamondback Plumbing on two occasions now and love their fast, friendly technicians. The thing i like the most about them is that they never charge extra fees for weekends or nights and what you see on the quote is what you pay with no hidden surprises. They are prompt, do great work and offer reasonable prices. They have never left a mess and leave your home in excellent condition. Will continue to keep using their services in the future." "Had a backup this morning and Diamondback sent out a tech within and hour. Levi was the tech and he was very prompt and professional and fixed our problem fast. Very pleased with the service and price as well. I paid $50 less than when it happened the last time and used a different company, not to mention a much faster response time. Definitely recommended." "I cannot express how grateful I am for Diamondback Plumbing (Brian & Joe)! Our ac unit was blowing hot air in the midst of AZ summer in July, they came out the same day and fixed it within a couple of hours. The price was ridiculously affordable, major plus. Oh we also got our 2 toilets fixed and replaced the garbage disposal. Drumroll please..all for $600. Thank you Brian and Joe! We will definitely utilize their service if a need ever arises." "Great service and prices. They will explain everything to you and go above and beyond to help, even on the weekends. We have many rental houses and have had to call on Diamonback more then once. We keep calling them because they are honest, prompt and do great work. We highly recommend this company to anyone with plumbing issues." "This company is amazing! They are reliable, honest and have the best prices in town. I had Parker & Sons come out and look at my plumbing. They did a terrible job and they also quoted me a ridiculous amount for a broker sewer line. DiamondBack came out and did a terrific job for half the cost. "This is a great company to do business with if your looking for a good plumber. My shower in my master bath upstairs was leaking into my dining room. I called 2 plumbers and both quoted me an outrageously high price to replace a shower drain. My HOA referred me to Diamondback. I called and spoke to a supervisor Steve and explained the whole situation to him and how much my budget is for the repair. He told me they would work with me and set up an appointment. The plumber arrived at the planned time and was courteous and professional and the bill came in under budget. He was efficient and finished the task quickly. They did not try to "upsell" me anything, the biggest issue I have is when I am upselled something I don't need. I paid them off my debit card by mistake. I called them after I realized this and they were more than happy to switch the payment to my credit card. One word Professional. They are my new plumber anytime I need any work done. I highly recommend them to anyone needing a plumber." "Diamondback Plumbing repaired our gas water heater on Saturday and we did not have to pay a weekend fee. They did a great job and we will recommend them to our friends. Chad also advised us that our water heater was over 10 years old and gave us a replacement cost estimate that we will do later this year. A+ service and friendly staff."